Welcome to the children and young people’s continence service. We provide a service for children and young people who need support with a range of continence issues in Stockport. 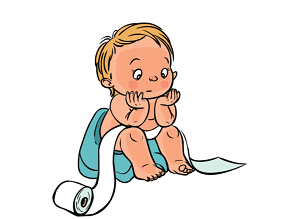 About Our Service The children’s continence service is based in the community. The service is for children and young people who need support with soiling, constipation, bedwetting, daytime wetting or toilet training. Clinic appointments, home visits and school meetings are available throughout Stockport to meet the children’s needs. How To Use The Service You will need to contact your health visitor or school nurse who will complete an assessment of your child’s continence issues. They are able to give you advice and support with your child’s continence problems and put some strategies in place that might be valuable. If your child’s problems are more complex and they are aged between 3-19 they will refer you to the children’s continence service. You will be sent a letter asking if you would like to be seen by the children’s continence service. This needs to be returned and then an appointment will be sent out to you. The first appointment is usually for 45 minutes as there will be a lot of things to discuss. If further appointments need to be made they will be booked in then. The following ones are about 30 minutes.